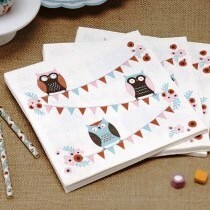 These cute patchwork owl napkins are in a pack of 20. They feature our owls on bunting. 33cm in size when opened.